Kratom is a plant commonly found in Southeast Asia. When used in tea and other beverages or taken on its own, kratom delivers results similar to those associated with opioids and stimulants. As such, kratom is sometimes abused. For those dealing with kratom addiction, they may experience various kratom withdrawal symptoms, too. 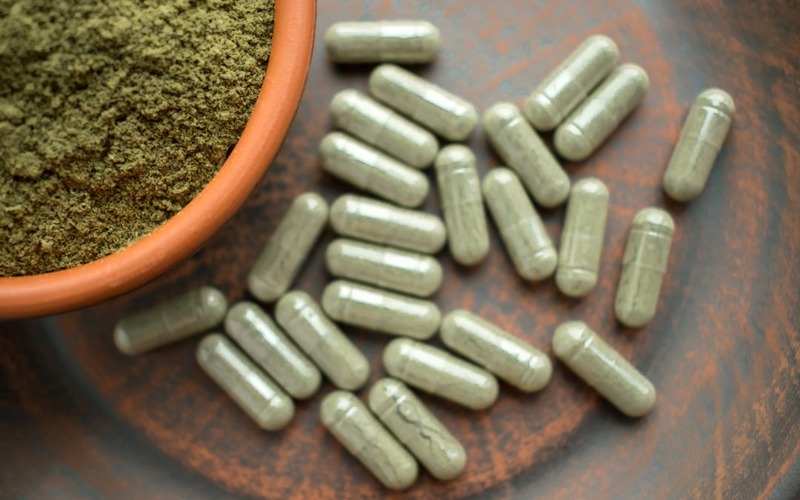 In low doses, kratom helps people boost energy levels and reduce fatigue. However, in high doses, kratom causes sedation, euphoria, and other opioid-like symptoms. Kratom acts on the brain’s opioid receptors. If an individual abuses kratom regularly, he or she will become dependent on the drug. Kratom also alters a person’s brain chemistry and causes myriad withdrawal symptoms. Additionally, kratom sometimes causes psychotic symptoms such as hallucinations, delusions, and confusion. In certain cases, kratom withdrawal may also lead to seizures. Kratom contains alkaloid chemicals that generally leave the body within about six days. Meanwhile, kratom withdrawal symptoms usually reach their peak within four to six days of use, and the entire withdrawal period concludes within about 10 days. The severity of kratom withdrawal symptoms vary based on the individual and the amount of kratom in his or her body. Oftentimes, people dealing with kratom addiction experience cravings after withdrawal. The psychological symptoms of kratom withdrawal typically last longer than physical withdrawal symptoms as well. The intermediary stage of kratom withdrawal begins after day seven and runs until day 10. At this point, a person experiences mild withdrawal symptoms, such as fatigue, muscle cramps, and cravings. The post-acute stage of kratom withdrawal occurs within six months to one year following drug use. It does not affect all kratom users; people who used high doses of kratom over an extended period of time are prone to experiencing post-acute withdrawal. During the post-acute stage, individuals may experience various psychological kratom withdrawal symptoms, as well as nausea, exhaustion, and other physical symptoms. For those dealing with kratom withdrawal symptoms, it is important to seek out expert medical support. Medical personnel are available to help individuals overcome the negative effects of kratom and other drugs. Plus, medical professionals offer comprehensive guidance to help individuals safely treat their addictive behaviors. Gastrointestinal Issues: Kratom withdrawal sometimes puts stress on a person’s body, resulting in gastrointestinal distress. Dehydration: The combination of excess diarrhea and vomiting and poor nutrition during kratom withdrawal may impact the body’s balance of electrolytes and lead to dehydration. Relapse: Ongoing kratom abuse results in low kratom tolerance, increasing the likelihood of severe withdrawal symptoms and relapse. Kratom withdrawal symptoms are sometimes overwhelming. But if a person seeks out kratom detox during the withdrawal period, he or she can explore ways to treat his or her kratom addiction. Detox offers a great solution to ease kratom withdrawal. It allows a person to flush kratom from his or her system. As a result, kratom detox ensures a person can take the first step to prevent long-lasting kratom withdrawal symptoms. Kratom detox is available on both an inpatient and outpatient basis. The amount of time required to detox from kratom varies. But with the right detox plan in place, anyone can get the support that he or she needs to treat a kratom addiction. During the evaluation stage, medical professionals perform a full patient assessment. They review a patient’s medical and psychological history, as well as perform blood tests and other examinations. The evaluation stage allows medical professionals to analyze a patient and learn about his or her kratom addiction. Following the stage, medical personnel can provide a patient with a personalized detox plan. The stabilization stage usually involves the use of different medications to manage kratom withdrawal. It may also require a patient to consume healthy foods to restore vitamins and nutrients in the body. A kratom treatment is customized to a patient. The treatment allows a patient to work hand-in-hand with medical personnel to address his or her kratom addiction. It also helps a patient assess his or her addictive behaviors and prepare for an addiction-free life. Upon successful completion of a kratom detox program, an individual possesses the skills and confidence he or she needs to overcome a kratom addiction. An individual leaves a kratom detox center with an aftercare plan to help manage his or her addictive behaviors, too. Kratom detox programs are readily available, but not all of these programs offer the same level of support. Some kratom detox programs, for example, focus solely on group therapy to treat kratom addiction. Or, in other instances, detox programs provide quick-fix solutions to address kratom withdrawal symptoms but fail to help patients permanently treat their kratom addictions. At Clear Sky Recovery, we provide a medically based ibogaine treatment center for kratom addiction. Our staff includes medical experts who understand kratom addiction and help patients detox from kratom. We also provide world-class amenities to ensure each of our patients can detox from kratom in a safe, comfortable environment. To find out more about ibogaine therapy for kratom addiction, please contact us today at 305.901.5371.